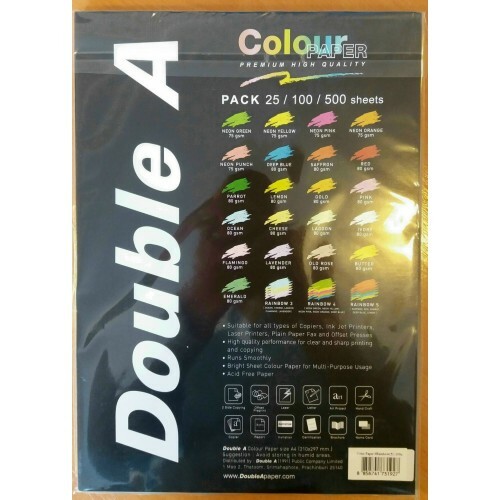 Premium quality colour paper Double A Rainbow 3. A set of color papers with 5 pastel colors - light blue, light yellow, light green, light pink, light violet (Ocean, Cheese, Lagoon, Flamingo, Lavender). Package contains 500 sheets, each color 100 pages. Format A4, grams of 80 g/m2. High-quality, acid-free paper, suitable for laser and inkjet printers, copying, MFP-s, duplex printing, handicrafts, art. Produced in Thailand.